It’s time to give thanks… and eat turkey! Join us on Thanksgiving Day as we will be seating 6 am til 6pm. Our full menu will be available plus dinner specials… including our Roast Turkey Platter featuring oven roasted, all white meat sliced fresh from the breast served over rosemary stuffing with house made Cranberry sauce and choice of two sides. Start with a choice of soup or salad and finish with homemade ice cream or slice of pie, all for $18.79! Celebrate the season with a hand crafted cocktail, local Jersey wine or craft brew as you enjoy the company of family and friends. Accepting reservations or walk on in anytime… we look forward to serving you! Eat. Drink. Grow. 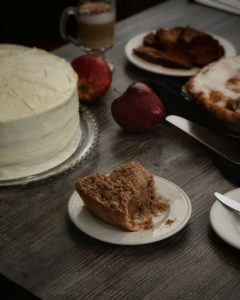 From our kitchen to your holiday table… Order your house made whole pies and cakes now! 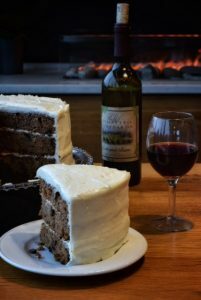 Whole pies and cakes can be pre-ordered with about 48 hour notice all year ’round, but we can conveniently reduce your holiday checklist by doing the baking for you. We source our fruits locally and use quality ingredients so you will be pround to grace your holiday table with our homestyle pies and cakes. We are open Thanksgiving Day for easy pick up as well. Eat. Drink. Grow.